Joel Brown‍ is another exciting prospect the Cal Bears have set their sight on. The 6’1 170-pound 2019 point guard out of Brewster Academy is a long, rangy athlete who looks like his best basketball is in front of him. 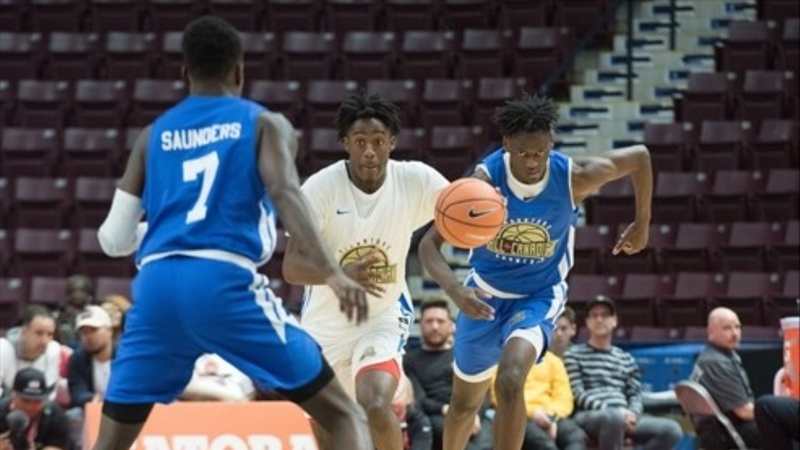 Brown played in six games while playing for Canada in the FIBA U18 Americans championship averaging 7 ppg, 3.8 RPG, and 4 APG. Strengths: Brown is a good athlete who consistently shows he can go by his defender with his right and left hand and can finish in the lane in traffic. He does an excellent job of finding an open teammate and creating for others. On the defensive end, he is a good enough athlete to stay in front of college guards and has the length to bother them. Areas of improvement: Brown is not a very good shooter right now. He shot an average of 1.7 three-pointers a game and made only .3 leaving him at 20%, which is a problem. Another cause for concern is his free throw shooting (42.1%) which is something he needs to improve on if he is going to be a playmaking point guard who attacks often. College Recruitment: Cal, Brown, Butler, San Diego, UC Davis, Utah, Arizona State, New Mexico State, and Vanderbilt.